On the New York Bohemian scene 1965 and 1966 were the pivotal years. 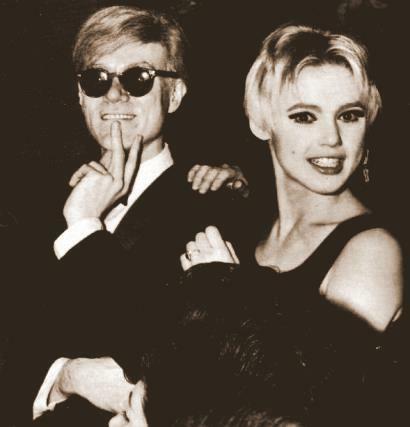 Near the beginning of 1965 Edie Sedgwick came down from Boston to become the catalyst in the struggle for dominance of the Bohemian scene between Andy Warhol and Bob Dylan. Both men began their rise almost simultaneously in 1960-61. Both camps were drug fueled primarily by amphetamines. While Edie, who as I perceive it was a psychotic nothing chick, entered Warhol’s world about March of ’65 it seems probable that Dylan was eyeing her from earlier in the year through the offices of his advance man, Bobby Neuwirth. While the early period is poorly documented as the battle for the soul of Edie Sedgwick reached fever heat in the summer of ’65 when Dylan recorded his diatribes Like A Rolling Stone and Positively Fourth Street concerning Edie and Andy the origins must reach further back into the first half of the year. 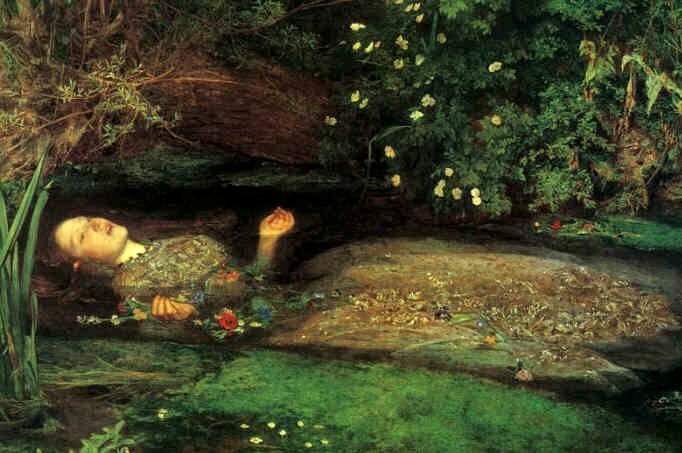 It is interesting that in Dylan’s song Desolation Row he cast Edie in the role of Hamlet’s Ophelia. 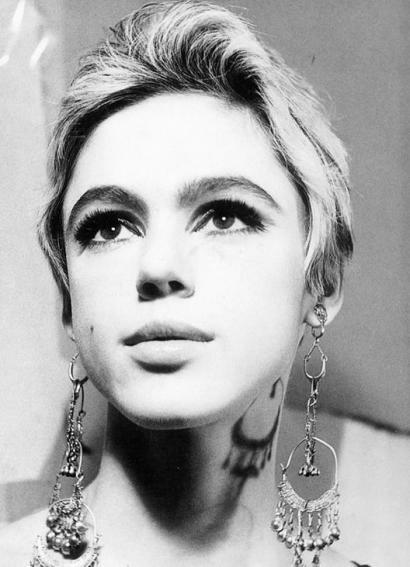 Thus the key to understanding Dylan’s albums Highway 61 Revisited and Blonde On Blonde is primarily Edie Sedgwick. I haven’t analyzed the data thoroughly but the meaning of One Of Us Must Know (Sooner Or Later) became transparent while studying Warhol. One of my favorite Dylan’s songs its meaning has always troubled me. In November of ’65 Dylan married Sara Lownds while still carrying on an affair with Edie, among others. Warhol told Edie that Dylan was married shortly thereafter. Edie was as a pawn in their game torn between leaving with Dylan and staying with Warhol. In their effort to steal Edie away Dylan and his manager Albert Grossman were promising her stardom and money in both recording and movies. You just happened to be there, that’s all. 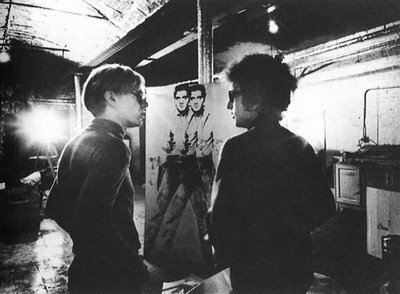 So Dylan admits he was using Edie who just happened to be Warhol’s chick, nothing personal, Dylan was after Warhol. But he didn’t mean to hurt her ‘so bad’ or make her ‘so sad’. Hey, it just happened. The second and fourth lines are so insulting, callous and sadistic as to pass the bounds of good judgment to write. They shouldn’t have been written and if written they shouldn’t have been shouted to the world to hear. It must have been obvious to Dylan that both Edie and Warhol would know he was talking about them. The Ballad Of Plain D was just mean but this is almost too hateful to bear. Ah well, the love and peace crowd. The scene is The Kettle Of Fish and the friend is Andy Warhol. I didn’t know that you were sayin’ “goodbye” for good. This is an outright lie else why put goodbye in parentheses. Dylan’s attempt to disavow his and Grossman’s promises making it seem like a trivial boy-girl thing is too coarse. This whole verse is definitely meant to hurt while both Edie and Warhol will understand the full import. That I really did try to get close to you. The key line here is that ‘I really did try to get close to you.’ At The Kettle Of Fish Edie murmured to Dylan that no matter how hard she tried she couldn’t get close to him. ‘Who?’ asked Dylan. ‘Andy.’ Edie replied. Dylan apparently took that as a rebuff although he was already married to Sara and would soon spawn a host of children on her. But you said you knew me and I believed you did. I didn’t realize how young you were. Apparently Edie didn’t realize that she was just a rainy day woman. While it’s a matter of interpretation I assume that Edie confronted Dylan with the fact of his marriage to Sara and naively asked if he were going to dump Sara for herself. Dylan was incredulous, astonished by her request, he thought she was more sophisticated than that, after all, a rainy day woman…. Rainy Day Woman is a very mocking put down of women as the lead off song and theme setter of the album titled Blonde On Blonde. Perhaps the title might be interpreted as Woman On or After Woman with Rainy Day Women establishing the theme. The song limits the range of women to two- numbers 12 and 35. Why 12, why 35? Who are they? One has to be Edie. If one does a little number manipulation a la Freud, in sequence the numbers add up to 11 which in turn adds up to 2. Two women. Seven come eleven? Three and eight, twelve and thirty-five added separately- three for male, eight for female. Twelve subtracted from thirty-five is twenty-three, Edie’s age. Just guessing. As Sara is the only other identifiable woman in the lyrics the two women must be Edie and Sara. 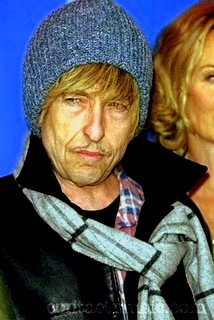 Let me venture the guess that all women are rainy day women for Dylan. Thus once Sara had borne his offspring fullfilling a religious obligation Dylan took seriously he drove her away oblivious to the pain and suffering he was causing or perhaps he was continuing to punish mother surrogates. Dylan was drugged and crazed while he was writing this so this is a reflection of deep subconscious drives. Snowin’ either refers to a snow job by Edie so he was blinded by light hearing only her words or drugs of some sort, either amphetamines or cocaine. But you said you knew an’ I took your word. Once again Dylan shifts the full responsibility from himself and Grossman to Edie. He implies that she was leading him on rather than vice versa. This when it was clear to everyone that he and Grossman were promising her the moon in the attempt to pry her loose from Warhol. Well, Dylan’s intents were pure, he says, but the results were deplorable; Edie was done harm by Dylan’s actions and the harm was deep and lasting, well beyond any hypocritical apologies. If the lines are to be believed Edie’s reaction was quite violent. As she was a total amphetamine addict her reaction would be quite plausible. And then Dylan mockingly closes with his ‘whadaya goin’ to do about it line’- I really did try to get close to you. As this period clears up for me I suspect that the whole of Blonde On Blonde is concerned with this Edie, Andy/Dylan duel. Blonde On Blonde itself then may refer to the silver hair of both Edie and Andy. It should be clear that Dylan’s motorcycle fall was no accident. In Exhuming Bob 23b: Bob, Andy and Edie I hypothesize that Dylan’s bike was rigged by the Factory crowd. Dylan survived with minimal damage. For his own sins Warhol was shot a couple years later but he survived that one too. Edie died a physical wreck in 1971. What goes around comes around as they used to say. Louise: Thanks for highlighting this quote. I believe I covered this in detail in Exhuming Bob 23a that examines Edie’s relationship to Dylan and Warhol during the December ’64 through ’65 period. Thanks for reading.